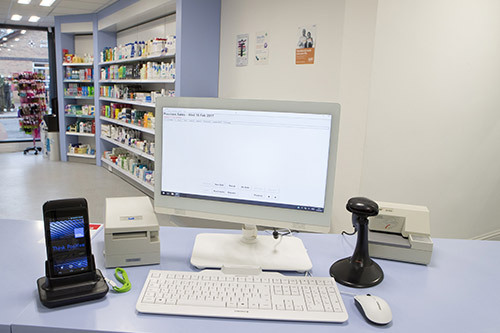 Positive Solutions is a leading provider of pharmacy software and services, delivering reliable and effective IT solutions for pharmacies across the UK. Working with a wide range of businesses from independents to large multiples, we provide pharmacy management tools including PMR and EPoS systems, order management software and business consultancy, as well as other bespoke services designed to meet your requirements and drive revenue, profitability and efficiencies at your pharmacy business. From pharmacy automation to improved management of ordering, dispensing and OTC activity, we are committed to ensuring contractors have the right technology, infrastructures, training and support in place to drive revenue and profit while delivering the patient-centric pharmacy service of the future. Established in 1993, Positive Solutions Ltd is a wholly owned subsidiary of Mawdsleys Investments Ltd. From our beginnings as a software supplier we have grown to offer end-to-end solutions for the community pharmacy market.